Gade pi bèl foto kap domine aktyalite a atravè mond la. 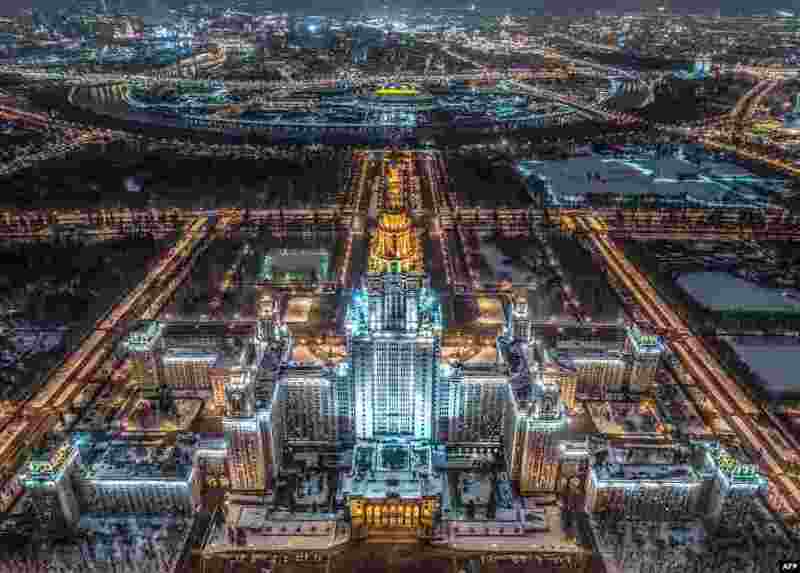 1 An aerial view of the main building of the Moscow State University, Luzhniki Stadium and the Moskva River, Russia. 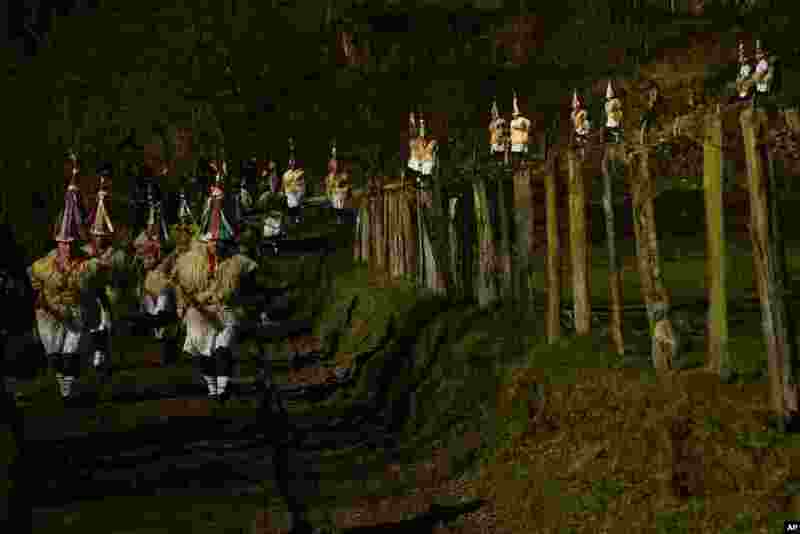 2 A group of Joaldunaks called Zanpantzar, take part in the Carnival between the Pyrenees villages of Ituren and Zubieta, northern Spain. 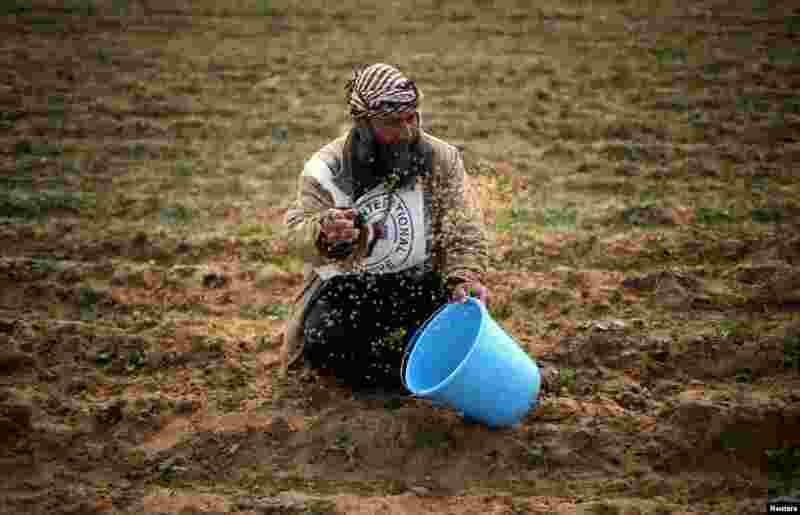 3 A Palestinian farmer throws wheat seeds during a tour by the International Committee of the Red Cross (ICRC), in the southern Gaza Strip. 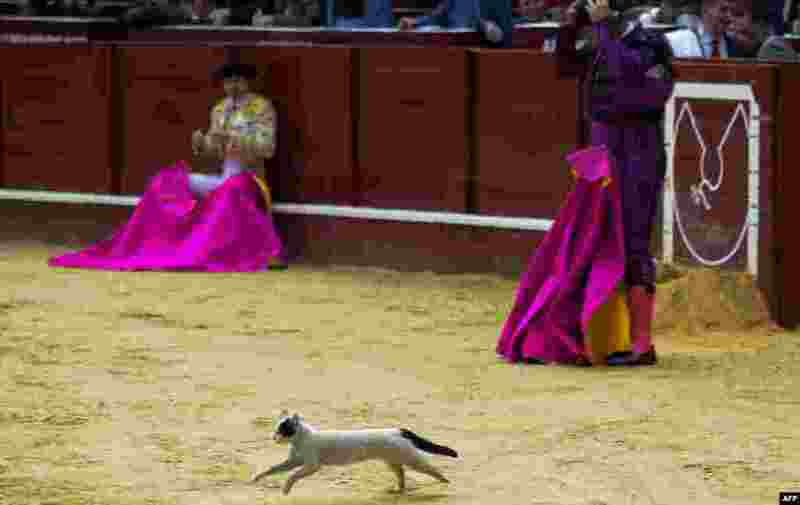 4 A cat is seen during a bullfight at the La Santamaria bullring in Bogota, Colombia, Jan. 28, 2018.